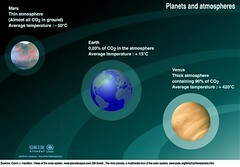 A planet's climate is decided by its mass, its distance from the sun and the composition of its atmosphere. Mars is too small to keep a thick atmosphere. 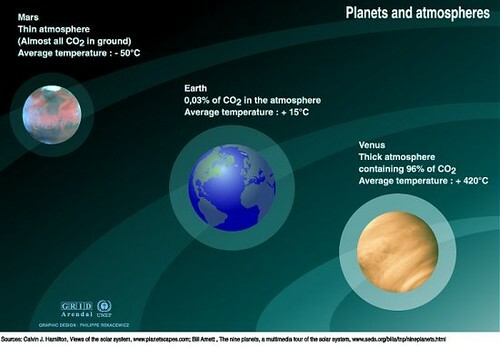 Its atmosphere consists mainly of carbon dioxide, but the atmosphere is very thin. The atmosphere of the Earth is a hundred times thicker.